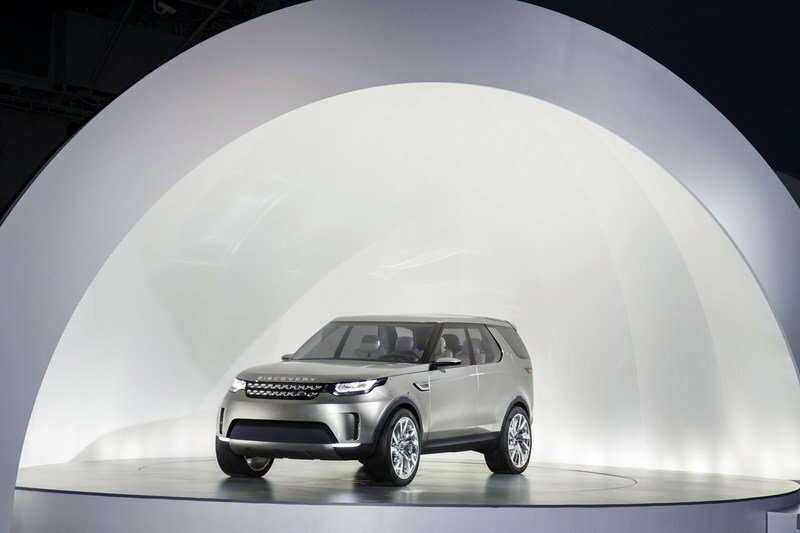 The Land Rover brand is on the brink of renaissance; a future laid out with a structured purpose that includes no less than three sub-categories and levels of refinement and off-road abilities — and it’s all starting with this, the Land Rover Discovery Vision Concept. 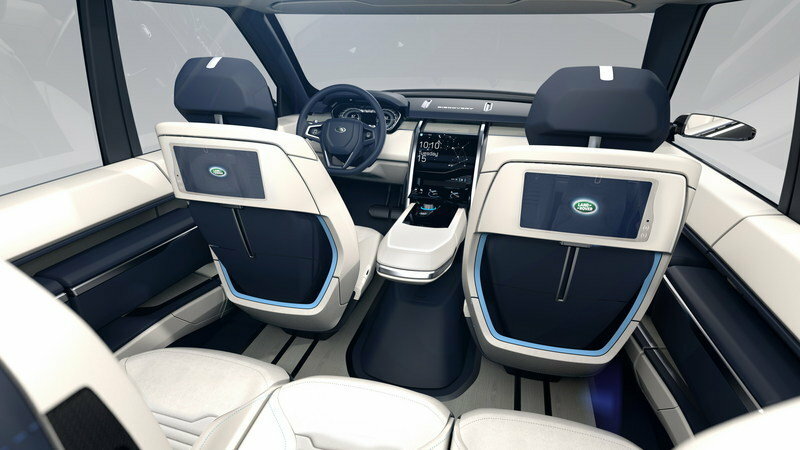 Just one day before the New York Auto Show officially kicks off, Land Rover pulled the covers off its newest design and road map for the company’s future. The overarching plan includes creating three sub brands with individual vehicles under each. 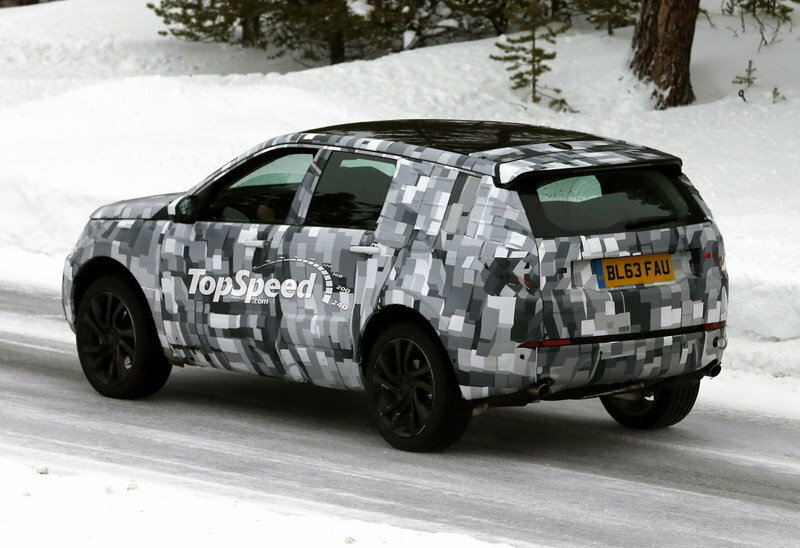 It will be a lot like what the Range Rover brand has already done with its multiple models. Range Rover will soldier on filling the luxury segment while the Land Rover Discovery lineup will fill the ‘leisure’-oriented rolls and a new lineup under the Defender nameplate will cater to the hard-core off-roaders and keep the Land Rover tradition alive of blazing trails in far-off regions of the world while (hopefully) being accessible to every market, including the U.S. 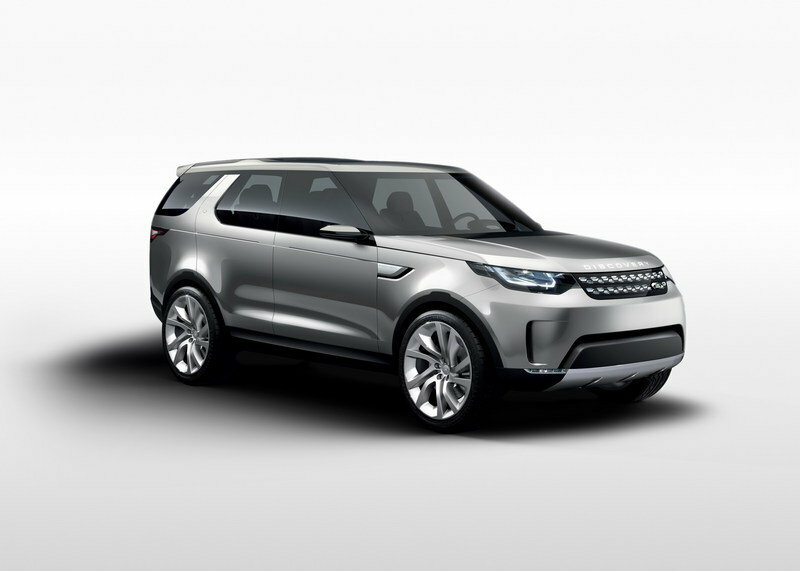 Besides announcing the new corporate structuring, Land Rover is heralding in its new design language with the Discovery Vision Concept. The new look still has lingering cues from the LR4 that it replaces and the more upscale Range Rovers, but overall, the look is totally fresh. 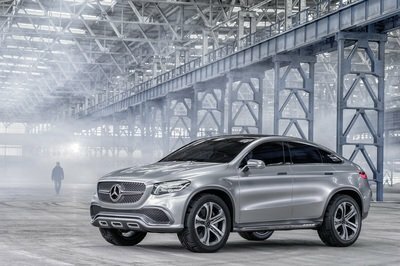 Included under is silvery skin are acres of new technologies and innovative features that set the SUV – and the brand – on a level above. Such things as gesture controls, its ‘transparent’ hood, and the first ever remote-control drive. 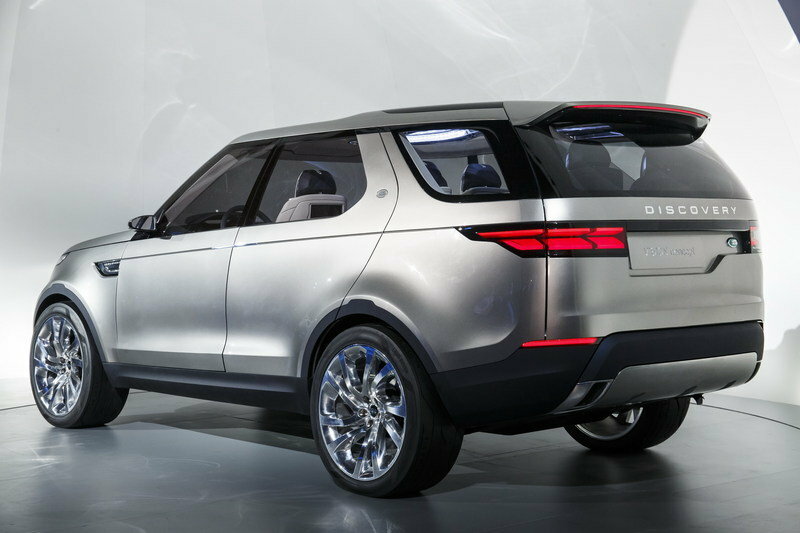 The side silhouette of the Discovery Vision Concept certainly has the shape and length to be a full-blown successor to the Discovery. This looks like a shot of the rear section and while it looks pretty standard, the rear glass’ quirky shape leads us to wonder if those roof rails are more than just, well, roof rails. This looks like the center stack of the concept. Nothing too out-of-the-ordinary because we’ve seen this configuration before in a lot of production makes. Maybe it’s a small piece to a bigger and more sophisticated puzzle? Imagine someone in the 1960s placing a call on a rotary-dial telephone; spinning the wheel to input each number individually. Now imagine handing them the latest smartphone from today, loaded with all the latest innovations like cameras, LED flashes, huge touch screens, GPS chips, Wifi (what’s the internet?! ), voice control, and the ability to hold a bookcase’s worth of reading material. 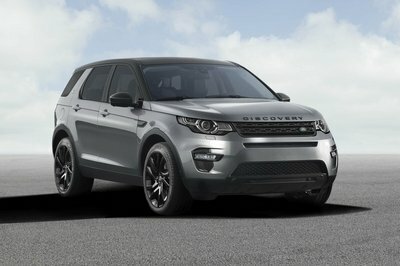 That’s what going from today’s SUV to the Land Rover Discovery Vision Concept is like. The level of technology included here, plus the sheer number of new systems is nothing short of remarkable. Our hats are off to Land Rover. The front grille and headlights give a menacing appearance to the three-quarter view while the rear tailgate, 3D-style taillights, and offset license plate indention give a more traditional appeal to the SUV’s styling. 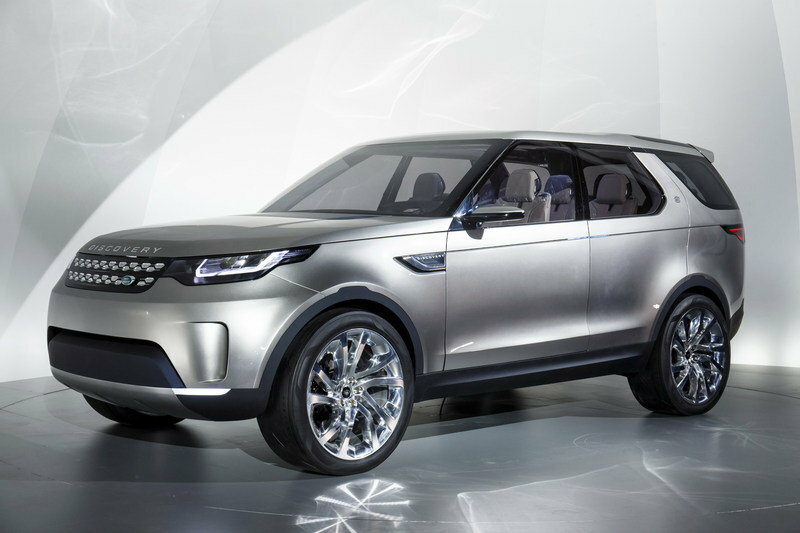 The Land Rover traits are alive and well in the Discover Vision Concept. Its overall design seems familiar yet has a distinctly new look that’s all its own. The sharply-angled windshield rises up from the sloping hood and then falls slowly toward the rear of the vehicle. 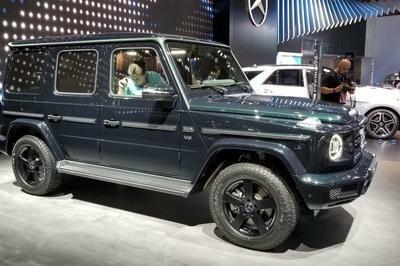 The thin B-Pillar aides in visibility while the meaty C-Pillar provides structural support for the roof and rear-swinging suicide door along with giving the Disco some vertical height it would otherwise lack. 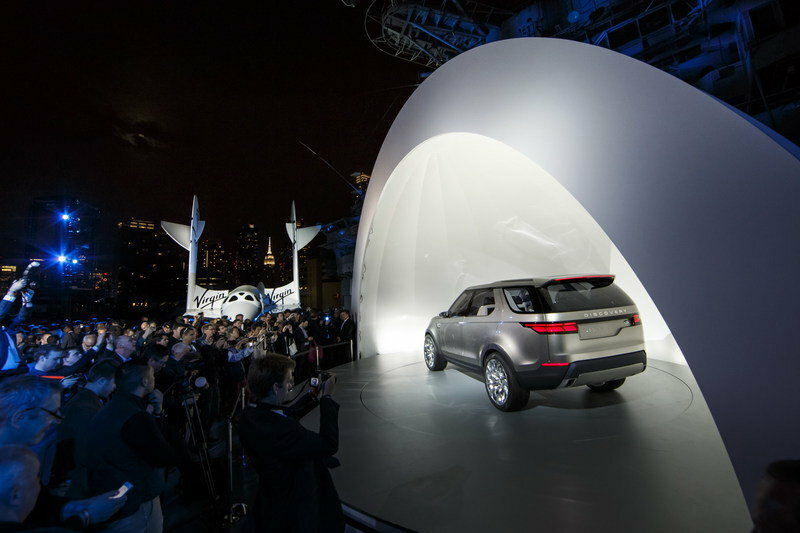 The Discovery’s exterior is teaming with technology, with the most visible being the laser headlights. Using laser-activated phosphor projection to throw light over 300 meters beyond the range of traditional headlights, the beams are said to provide light that closely resembles daylight. The headlights also feature automatic high beam control that blocks the bright light from shining on oncoming traffic, allowing the high beams to stay on while driving down a dark two-lane road. The Dr. Evil-level of laser use continues around back with Land Rover’s Laser Referencing. 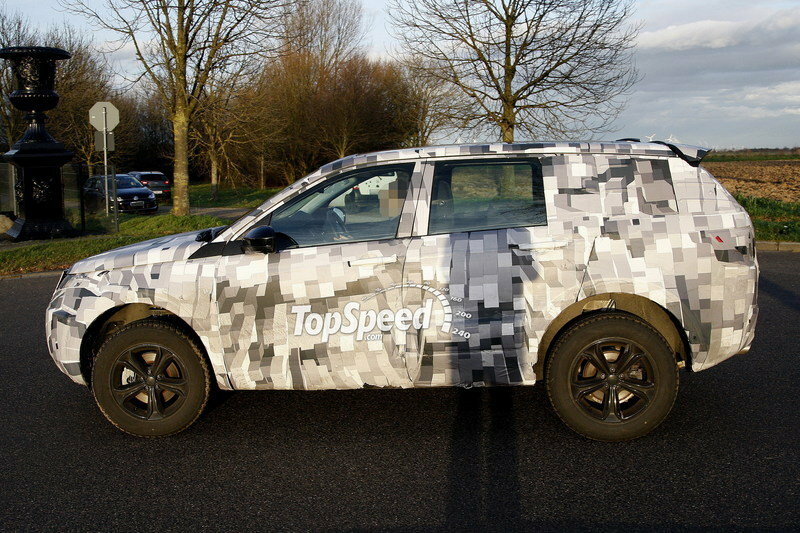 The Discovery is able to project images onto the road around the SUV, including warning triangles in case of a roadside emergency. The system can also project reference points on surrounding walls or rough terrain to help the driver accurately navigate past the tight spaces. On top of that, the Land Rover employs a totally new camera and Heads-Up-display system that helps the driver see what’s directly in front of the grille. By displaying images from the front cameras onto the windshield-wide HUD, the augmented reality system essentially creates a transparent hood-effect, allowing the driver to “see through” the hood for amazing visibility. The Transparent Bonnet system works hand in hand with Land Rover’s latest version of its Terrain Responses system. Still featuring the selectable multi-mode-type technology, the new system proactively anticipates upcoming terrain by way of Laser Terrain Scanning and the forward-facing cameras to automatically select the best setting for the upcoming obstacle. Those front lasers also help judge the depth of water before the driver ventures into it, allowing for safe passage though rivers and such without having to first test the dept with a stick. Leading the techno-feast inside is Land Rover’s ‘Smart Glass’ system, which essentially makes computer screens out of each panel of glass in the entire greenhouse, including the panoramic roof. 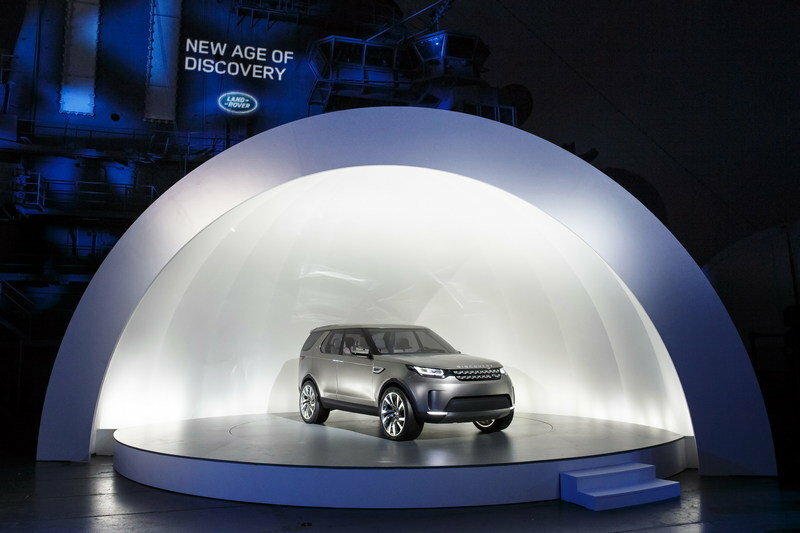 The level of technology and innovation continues though the Discovery Vision’s cabin. Leading the techno-feast inside is Land Rover’s ‘Smart Glass’ system, which essentially makes computer screens out of each panel of glass in the entire greenhouse, including the panoramic roof. Each window is capable of displaying images or text over the outside world passing by. Used in conjunction with eye-tracing sensors and GPS locators, the system can display relevant data on the windows as the SUV drives past a tourist attraction or historical marker. The system senses a passenger is looking at a certain object, so it displays information about that object on the window. 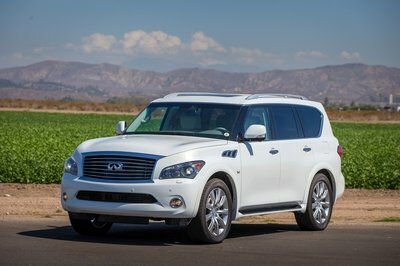 What’s more, the SUV also employs motion sensors within the cabin that respond to hand gestures. When a passenger sees information displayed on a Smart Glass panel, they can literally swipe it over to be displayed on their personal 10-inch infotainment screen perched on the seatback in front of them. For the front two occupants, the information is displayed on the center stack. 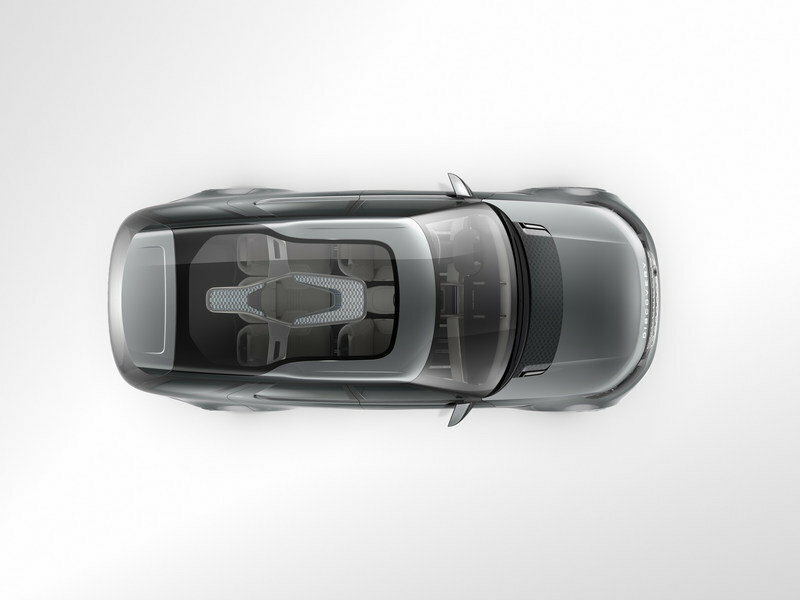 What’s more, the SUV also employs motion sensors within the cabin that respond to hand gestures. The gesture controls also work in controlling opening and closing the doors and tailgate, operating the lights and turn signals, and activating the rotary gearshift. Besides the electronic technology, the seats features innovative methods of folding and organizing. The center seat in the second row folds to become a table top while the two outside seats can be completely folded forward for ‘limousine’ mode for two passengers in the third row with the second row table top still present. All told, the Discovery can hold seven passengers in its three rows. 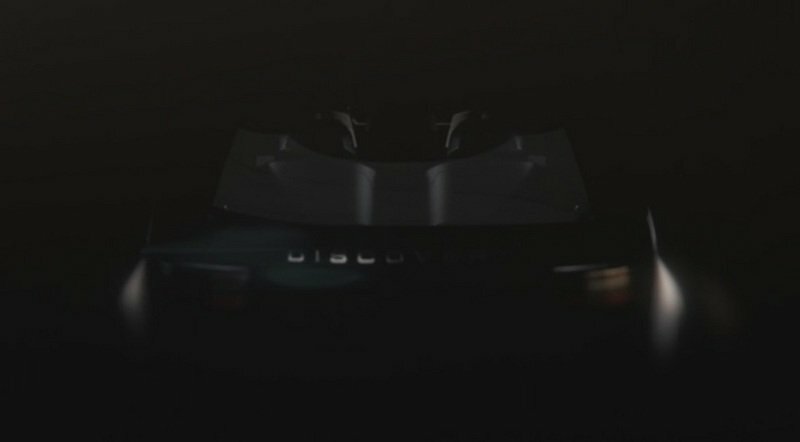 Land Rover has yet to announce anything on what’s powering the Discover Vision Concept or what will power the eventual production version. It’s hard to imagine the automaker spending so much time and money into developing such an innovative machine to then just slap an existing powertrain system under the hood. Only time will tell on this one. Like the drivetrain, there hasn’t been any official word in this department. 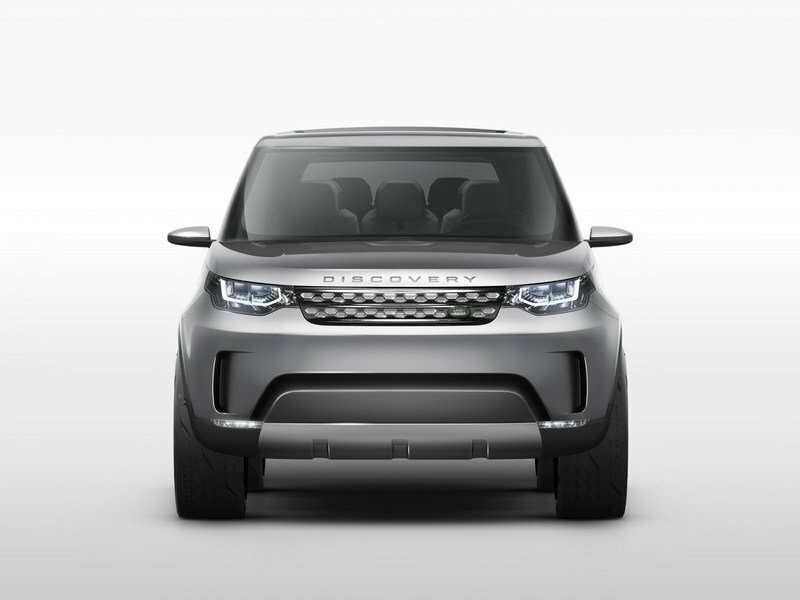 With all the cutting-edge technology and the up-front costs Land Rover ate in developing them, it’s likely the new Discovery will cost a pricy penny. 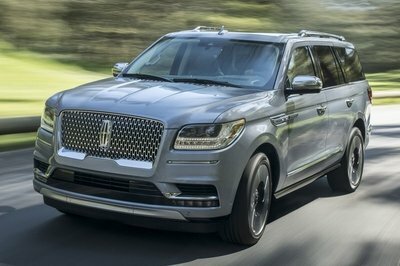 Considering the current LR4 starts just over $50,000, it wouldn’t be unquestionable for the new vehicle to cost closer to $60,000, edging close to the up-market Range Rover territory. Yet again, only time will tell. 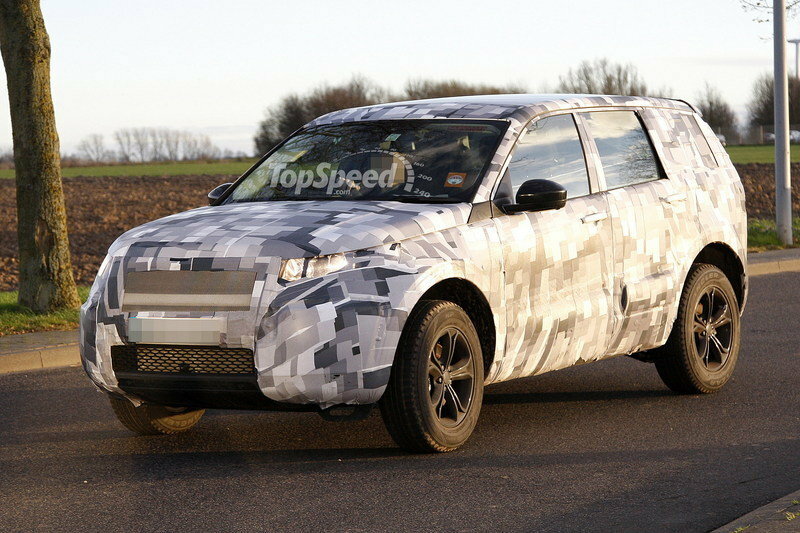 Since Jaguar and Land Rover are close cousins owned by the same parent company, the upcoming C-X17 might share some of the Discovery’s techno features, though reports hold steady the Jag won’t share Land Rover’s off-road chops. What we are counting on is a potent, sporty crossover with a powerful engine setup that makes other crossovers seem slow and stodgy by comparison. 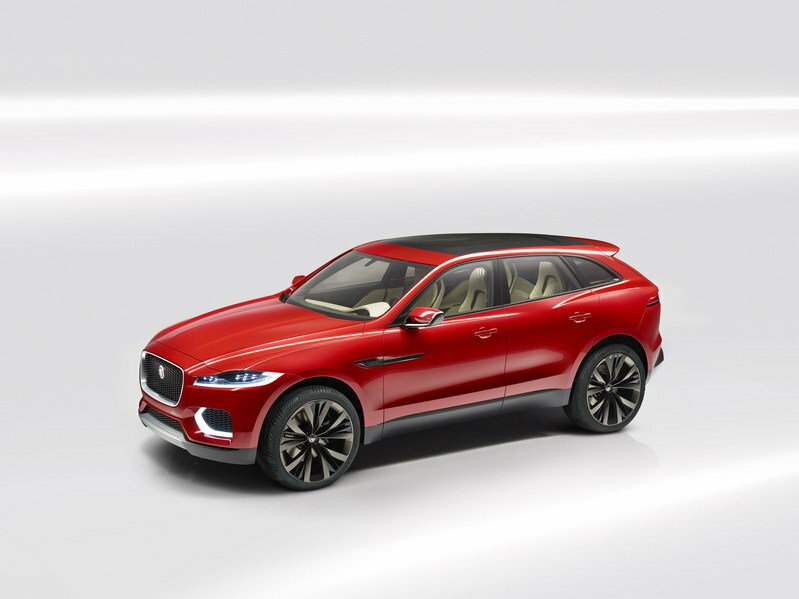 Currently we know the C-X17 comes powered by the same 3.0-liter, supercharged, V-6 engine as the F-Type. Pricing for the C-X17 will start around £30,000 and be available in the latter half of 2015 as a 2016 model. The X5 has been the front-runner in sporty SUVs for over a decade now and the Germans have got the recipe down pretty good – though it seems they don’t have quite the features the new Land Rover has. It’s possible BMW will roll out an all-new X5 in time to compete with the new Discovery lineup, so Land Rover might have some good competition. 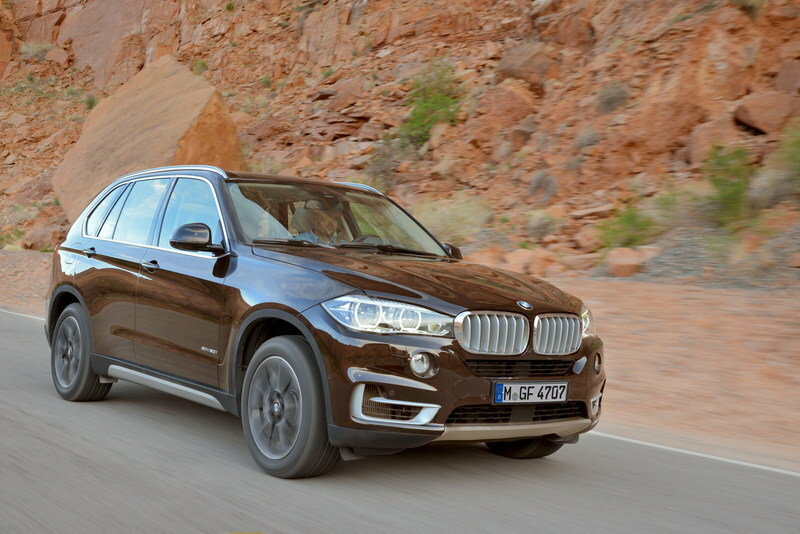 For the current 2014 model year, the X5 starts at $52,800 and rises to over $70,000 with all the bells and whistles. It’s amazing to see such innovative and cutting-edge technology come in an SUV — let alone the sheer number of systems and their seamless integration. Whether all these systems will make it to production has yet to be seen, but with a working prototype already on display, it’s likely all will be available in some form or fashion with different packages or option including individual systems. The fact Land Rover poured so much effort into its new halo product speaks volumes about its drive and determination for future growth and brand respect. And as with all technology, costs will fall and their inclusions will become more widespread. A $60,000 SUV might be the only place to get Smart Glass now, but perhaps five years from now, maybe every new vehicle will include some from of the technology. In the 25 years since its launch, the Land Rover Discovery has carved an enviable reputation for itself - from deserts, jungles and barren peaks, where its unrivalled capability sees it through the harshest terrain, to cities and country tracks worldwide, where its distinctive blend of spacious design and innovative versatility have made it a global success, winning numerous awards and clocking up impressive sales figures. 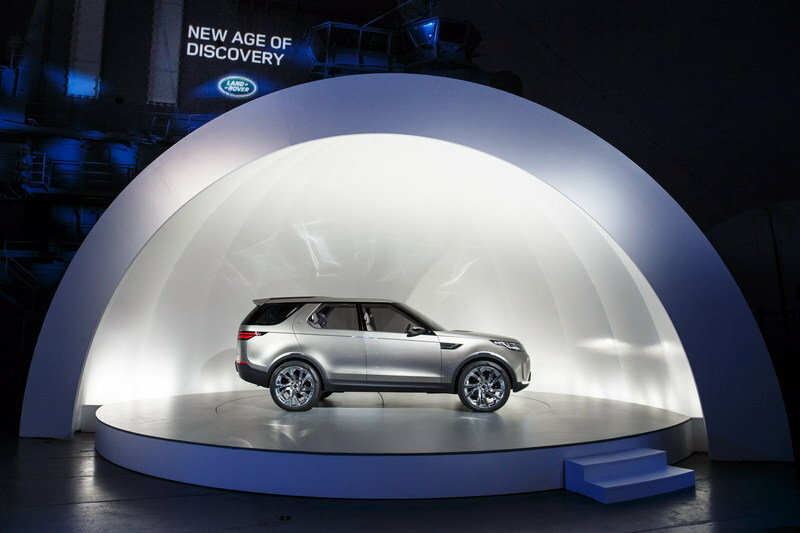 The Discovery shaped the 4x4 leisure segment and, over the course of a generation, became synonymous with it. 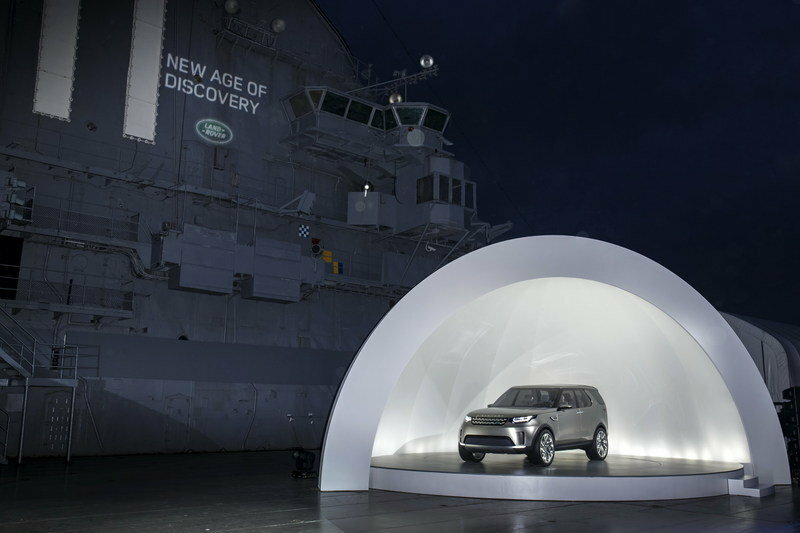 Always a trend-setting pioneer, the Discovery is now on a journey of transformation and is set to change the face of the next generation too. 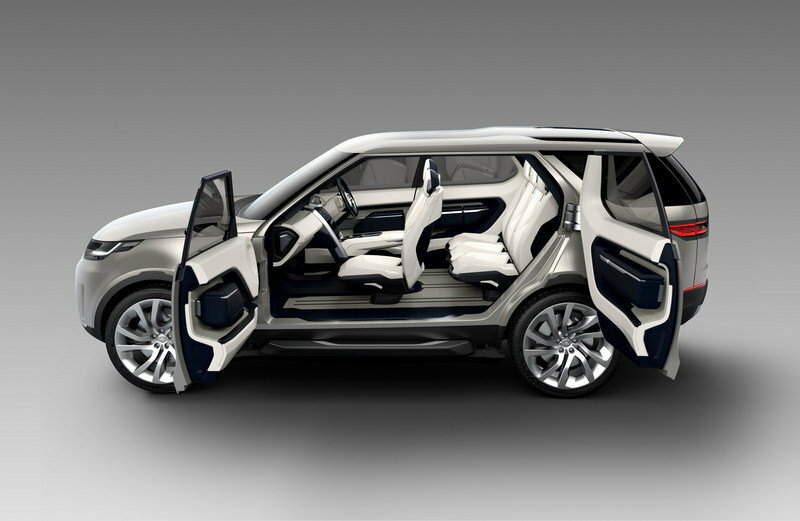 The Discovery Concept is a vision into the future of Land Rover’s new family of leisure vehicles. It is a vision of a premium and thoroughly modern lifestyle vehicle - a highly desirable interpretation of our well established Discovery nameplate, with a strong focus on relevant versatility and compelling design. This will truly resonate with customers while respecting the established values of Discovery’s unique heritage. With its optimised volume and proportions, dramatic silhouette and overall modernity inside and out, this concept is a radical departure from Discovery as we know it - and yet, its unique DNA is evident, with the stepped roof, alpine lights, command driving position and stadium seating all working in harmony to create a vehicle that acknowledges its roots, whilst firmly looking forward. The top of the fascia has a leather-wrapped aerofoil-shaped structure for a light, minimalist appearance. The swooping form of the fascia’s central ’arm’ encases two high-resolution touchscreens, which display the vehicle’s system menus. The lower touchscreen flips up to reveal a storage binnacle with an induction pad for easy, cable-free recharging of smartphones. Further down along the console is a rotary gearshift control, which deploys and rises into the driver’s hand as it approaches, and a secondary rotary which controls functions such as Terrain Response and Tow Assist. This secondary rotary can detached and taken out of the vehicle to operate Remote Control Drive. 4-seat, or ’limousine’ mode: Second row outboard seats in full theatre-fold with the front seats, and the second row middle seat in table-fold. Two passengers seated in the third row seats enjoy huge amounts of legroom. The Discovery Vision Concept’s headlamps feature laser diodes in combination with LED running lights. Laser light is the next generation of automotive lighting technology. These lights utilise laser-activated phosphor projection to emit a very bright and even beam of pure white light. The power of the laser light beam adds a distance of over 300 metres to the range of the headlight, and the quality of the light itself is closer to daylight - smooth and clean, with no patchiness or speckling - than any other type of artificial light, all of which makes for excellent and greatly enhanced visibility on the road. By immensely boosting driver confidence and decreasing fatigue, reducing glare and avoiding the need to take one’s hands off the wheel to operate the dip function, laser headlamps aim to make a huge difference to the automotive landscape by vastly increasing road safety. Additionally, laser lights have the added advantage of also being very compact - a tenth the size of LEDs - which opens up numerous design and engineering possibilities. 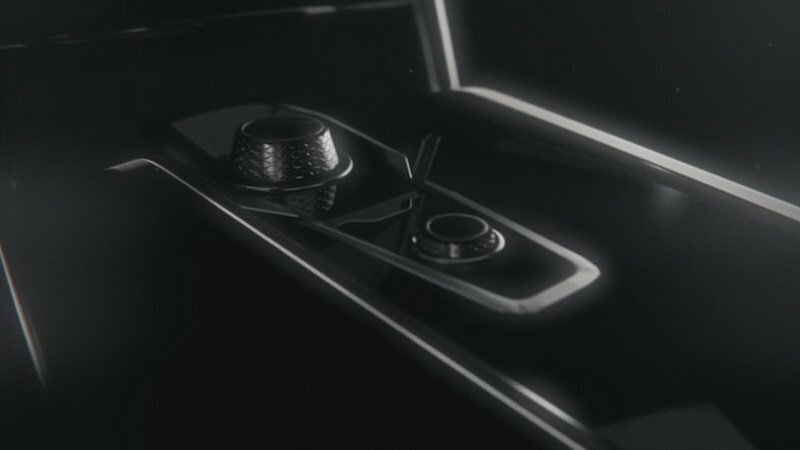 The Discovery Vision Concept also previews a truly futuristic technology that will radically transform the user experience for drivers and passengers alike: smart glass. This state-of-the-art glass is capable of displaying imagery, like a computer screen - but is otherwise entirely transparent, like regular glass. 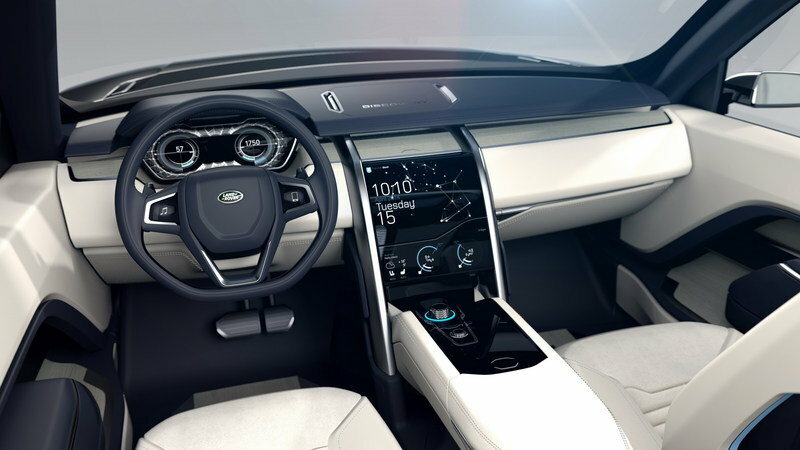 Smart glass is used in the entire glasshouse of the Discovery Vision Concept - in all the windows, the panoramic roof and, allied to Head-Up Display (HUD) technology, in the windscreen - and opens up a world of exciting possibilities. The graphical properties of smart glass enhance ambience and privacy controls; the window can be dimmed with infinite gradation or completely blacked out with the swipe of a finger, while the panoramic roof also has the option of displaying screensaver-style ’mood screens’. From a soothing starry night sky as you drive through a city to a clear blue summer sky on a winter’s evening - the smart glass on the panoramic roof lets you set the mood. 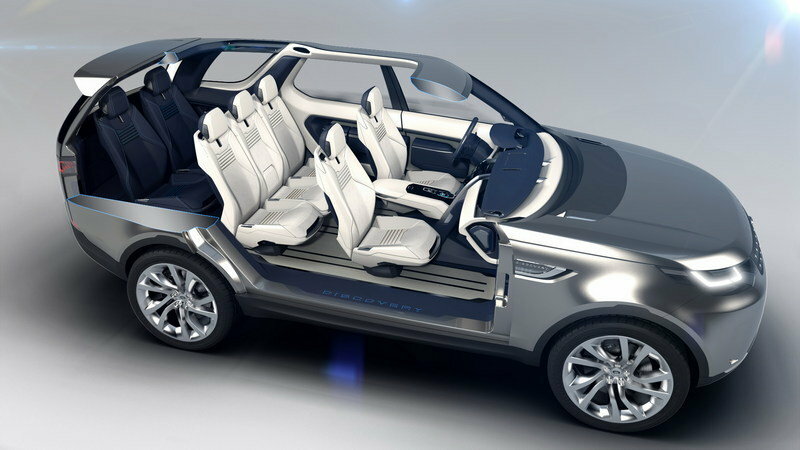 The Discovery Vision Concept emphasises a great infotainment experience for all passengers. Individual 10-inch high-resolution screens are fitted into four of the seat backs, with the console screens serving the first-row right-hand-side and second-row middle passengers. Each passenger has not only full video and internet access via the vehicle’s secure in-car WiFi network and the ability to link up to the smart-glass data from the windows, but can also, thanks to embedded cameras above each screen, video-call any other passenger seated in the Discovery Vision Concept, and talk in a natural face-to-face manner without having to twist rearward. The tablet dock integrated into the seatback folding trays also allows personal smartphones and tablets to be hooked up to the vehicle’s system. The screens can be operated with hand gestures - for instance, swiping a hand left or right to change the mode, or rotating a finger to increase or decrease the volume. The Discovery, beloved of rutted roads and green lanes across the world, has a proud history of successfully tackling gruelling overland expeditions - most recently, the Journey of Discovery in 2012, where the one-millionth Discovery to be built was driven 8,000 miles from Birmingham to Beijing, China. Another enhancement to the driver’s capability is Laser Terrain Scanning. The Discovery Vision Concept’s foglamps are capable ofemitting infrared lasers, and these are used to scan the ground ahead, map the terrain and display the mapped imagery on the hi-definition cluster screen, providing the driver a vital visual reference and helping him understand the lay of the land while driving in challenging off-road conditions. Both on and off the road,the Discovery Vision Concept’s laser technology capability offers an additional resource: Laser Referencing. Here, the laser light is tuned to specific colours in the visible spectrum and used to project visible images onto the road. This has numerous useful applications, including projecting warning triangles onto the tarmac behind the car for other motorists to see in the event of a stoppage, or projecting reference points onto roads, walls or any terrain, in order to help the driver to judge tight gaps and to park or drive in congested spaces. Another way of providing the driver with enhanced visibility and a greater understanding of the terrain is Land Rover’s innovative Transparent Bonnet system. Cameras under the vehicle’s grille send video of the terrain being traversed, projecting it to the Head-Up Display in the windscreen. By overlaying the imagery through the driver’s line of sight on the HUD covering the bonnet area, the system effectively creates a ’see-through’ bonnet view of the terrain and the direction of the front wheels, thus improving visibility and enhancing driver confidence. Terrain Response not only analyses the type of terrain being traversed - snow, ice, mud, grass, water, rocks, ruts, tarmac, gravel, sand, inclines and so on - but also proactively anticipates upcoming terrain via Laser Terrain Scanning and forward-facing camera sensors, and instantly engages the appropriate system to best respond to that type of terrain and situation. All Terrain Progress Control:A low-speed all-terrain cruise control that vectors torque to enable semi-autonomous off-road driving at a steady speed.